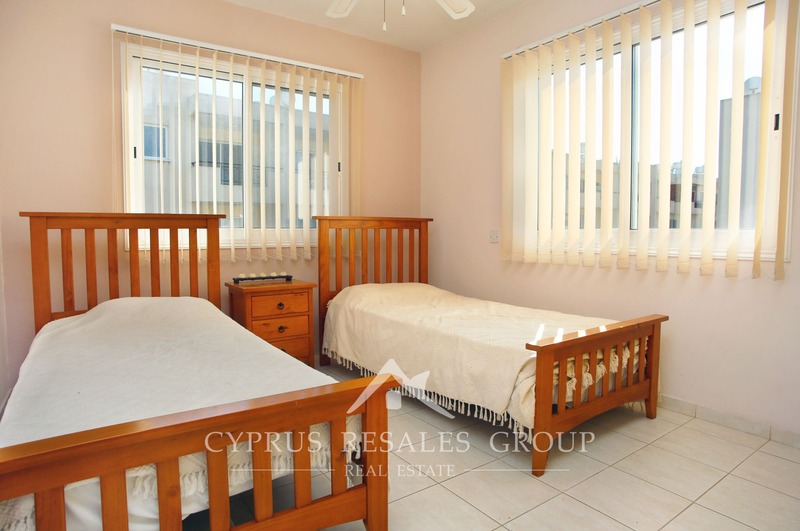 Property in Chloraka for sale | 2 Bedroom apartment in Aristo Melania Gardens, Chloraka, Paphos. 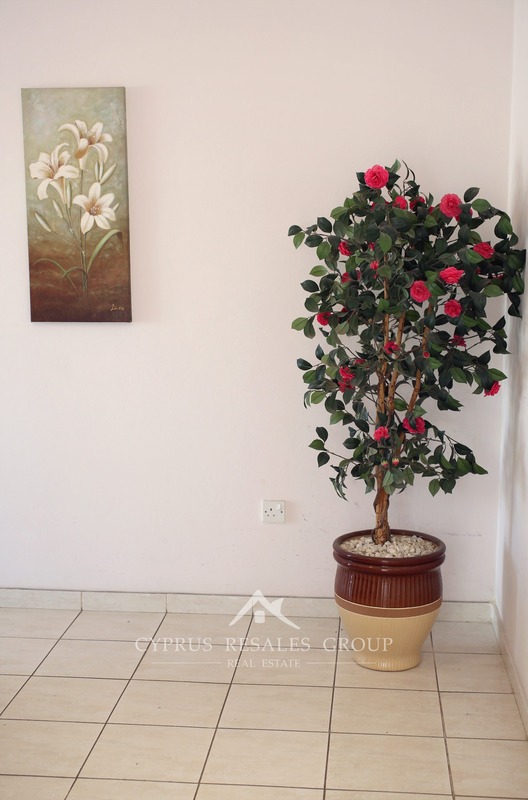 Want to know more about Chloraka? 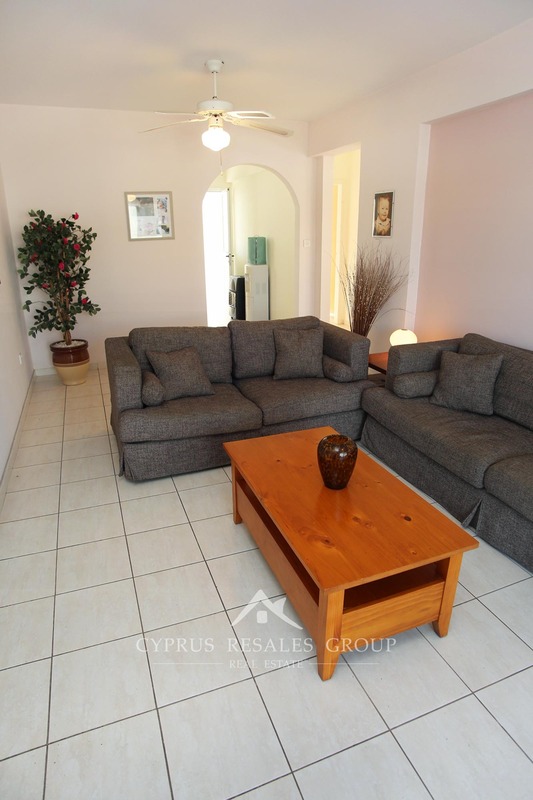 The popular Melania Hill sits next to the coastal road between Paphos and Coral Bay. 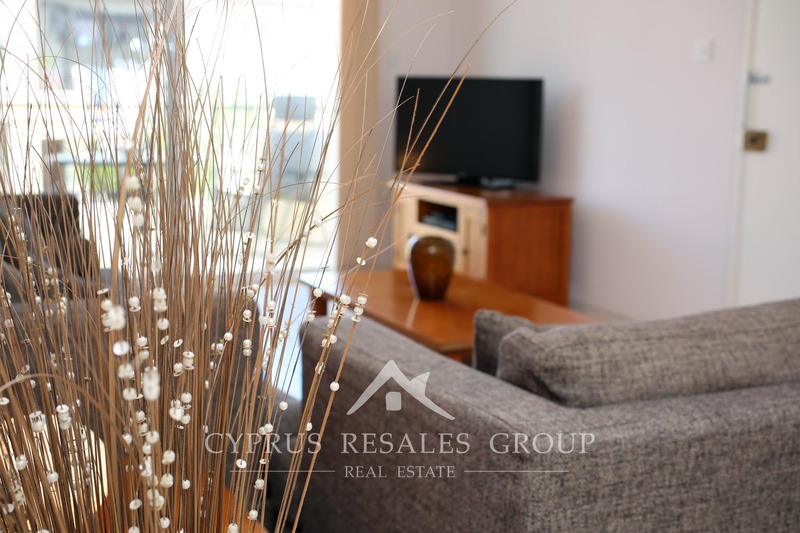 With the village of Chloraka itself only 7 minutes’ walk you really do have the best of both worlds - a quiet yet central location. 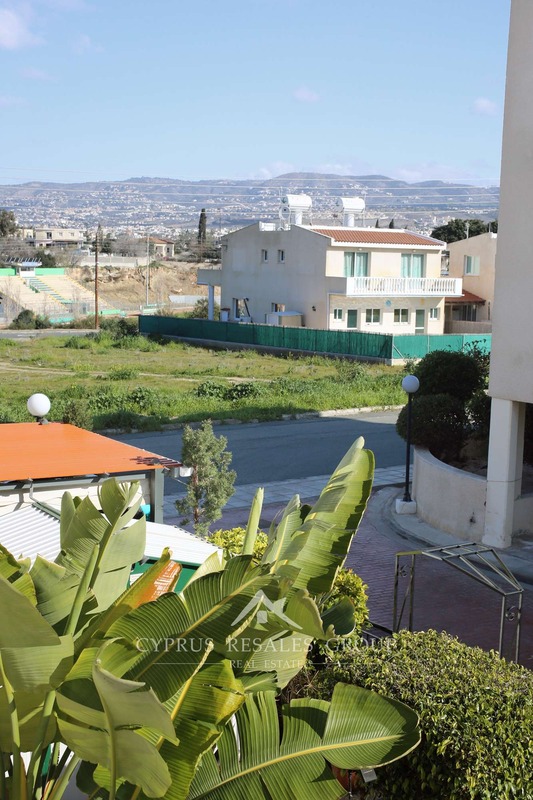 Lidl supermarket is only 5 minutes in the car and Kings Avenue Mall another few minutes down the road. 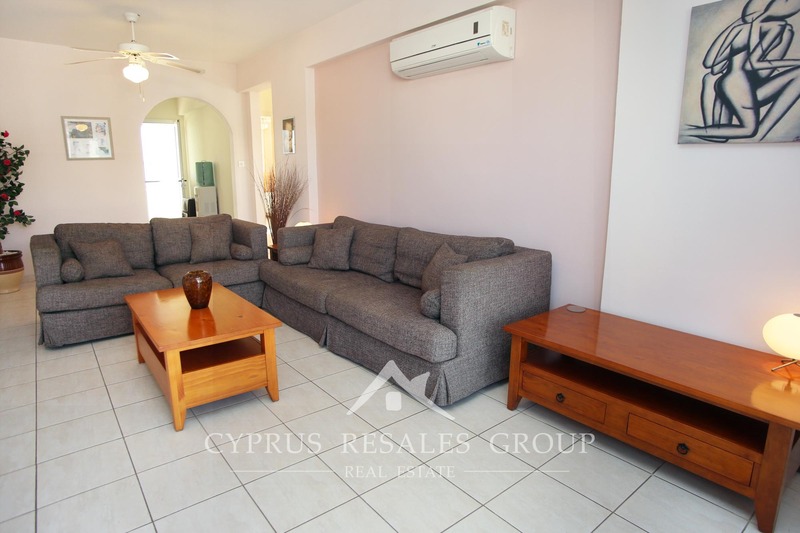 This excellent large first-floor apartment has 2 covered verandas at each end – one accessed from the spacious lounge and the other from the large dining kitchen. 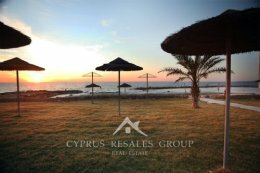 Particularly impressive is the main veranda that boasts views of Coral Bay, while the other veranda offers pleasant views of Tala hills. 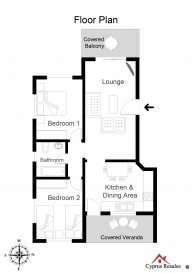 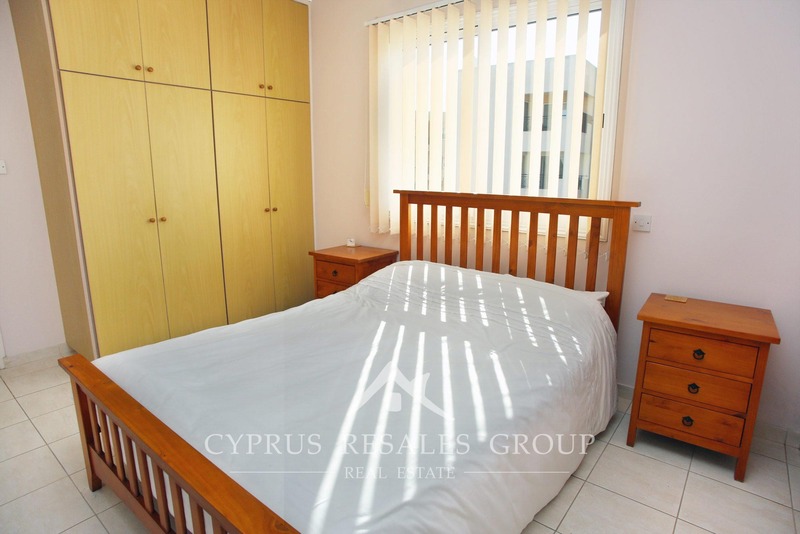 Both the bedrooms are well proportioned and have fitted wardrobes. 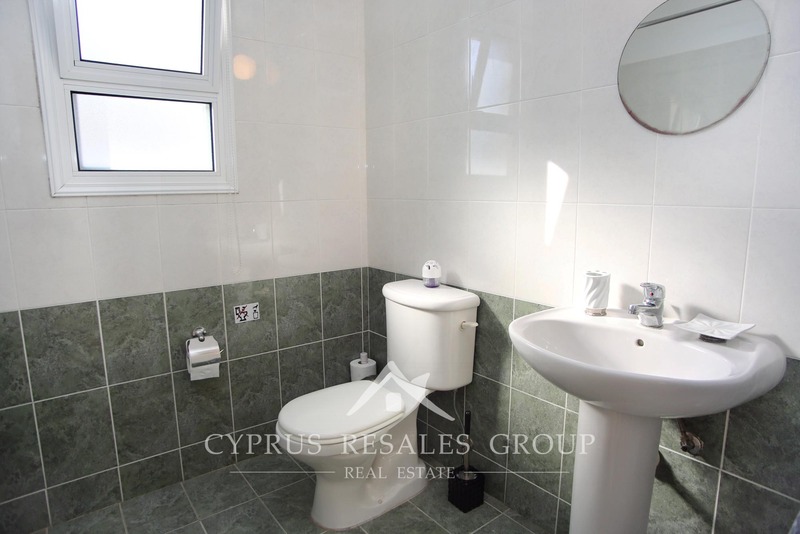 The generously sized family bathroom is shared by two bedrooms. 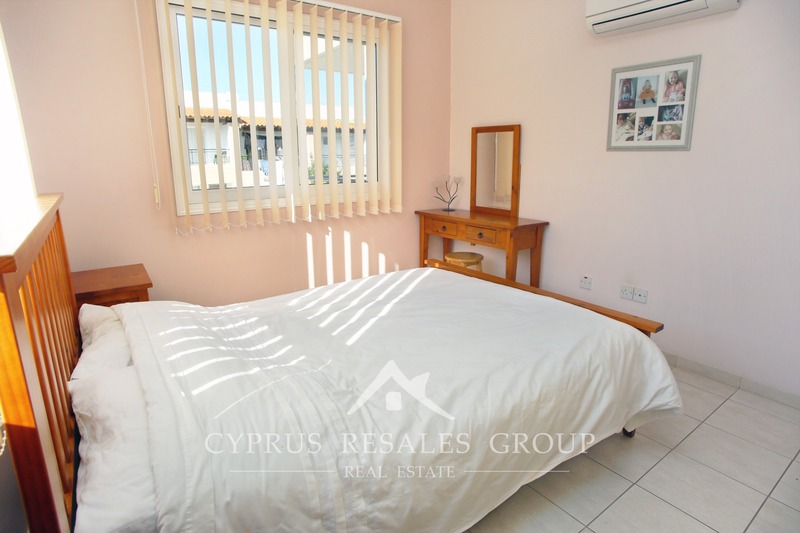 Generous covered area of around 100 m2 (including verandas) provides wonderful accommodation for a comfortable permanent home or a holiday retreat. 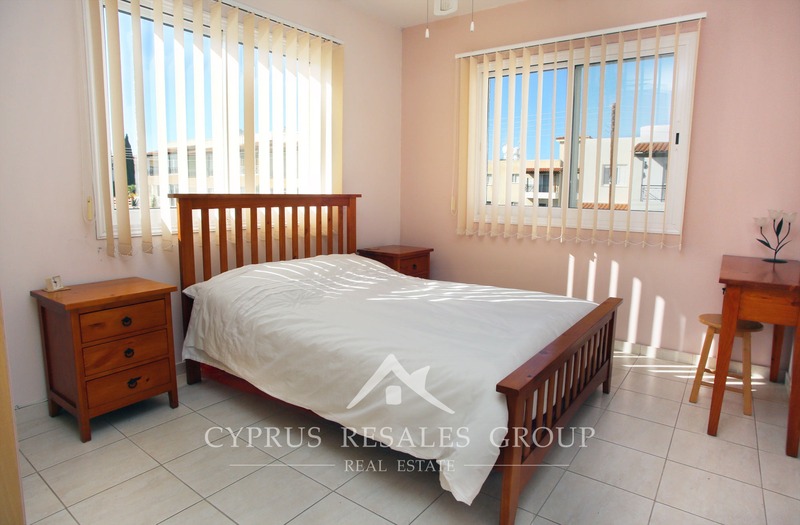 Another benefit of this appealing property is its southerly aspect that provides plenty of natural light throughout the apartment. 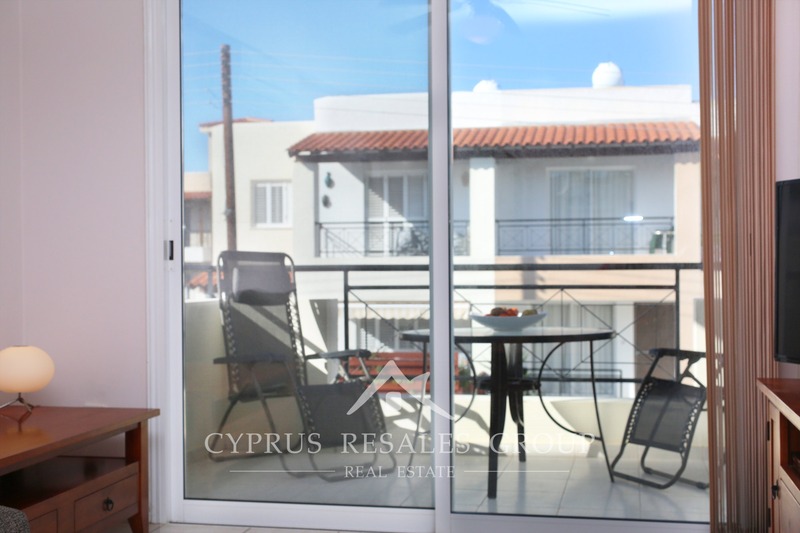 Two large verandas on either side of the property allow you to track the sun around the apartment as it swings from morning to afternoon. 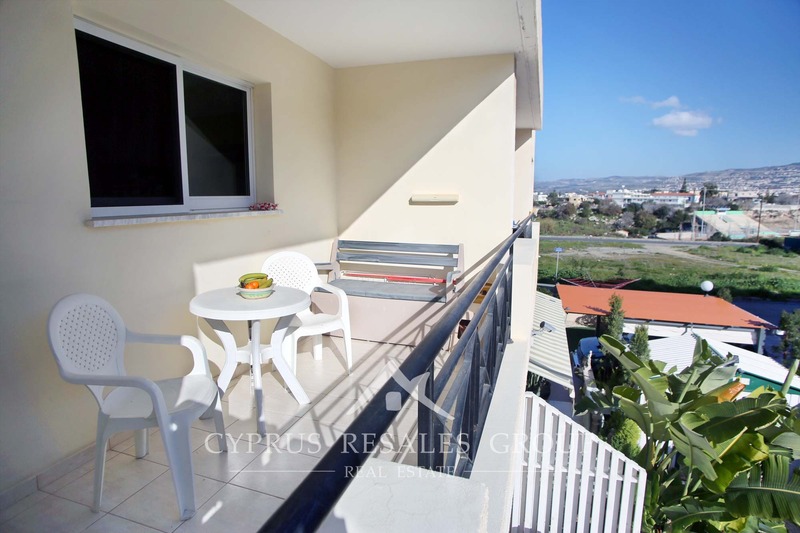 A communal swimming pool is close by and for young families the waterpark of King Evelthon Beach Hotel is only 800 meters away down the hill. 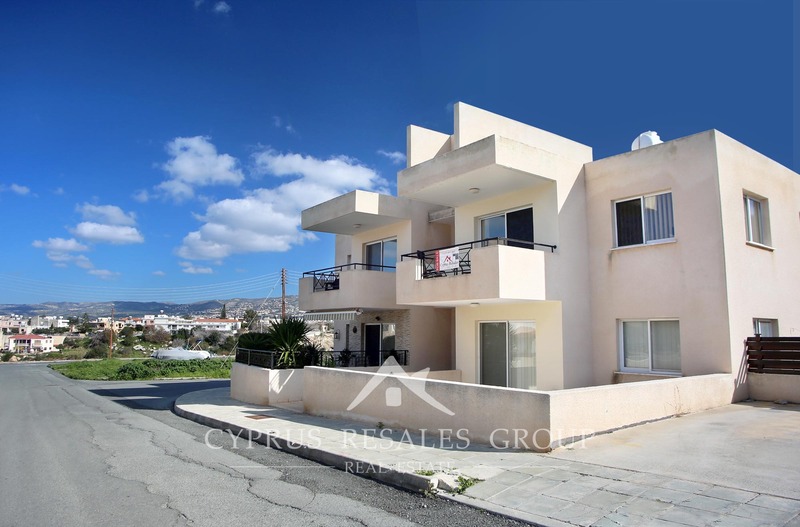 FULL TITLE DEEDS and reasonable common fees of only 520 Euro per annum make this a compelling buy-to-let or a perfect starter home in Paphos. 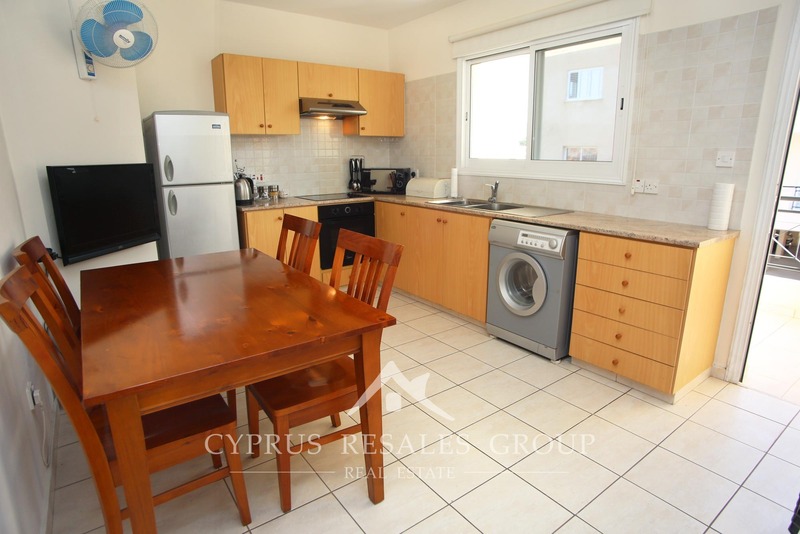 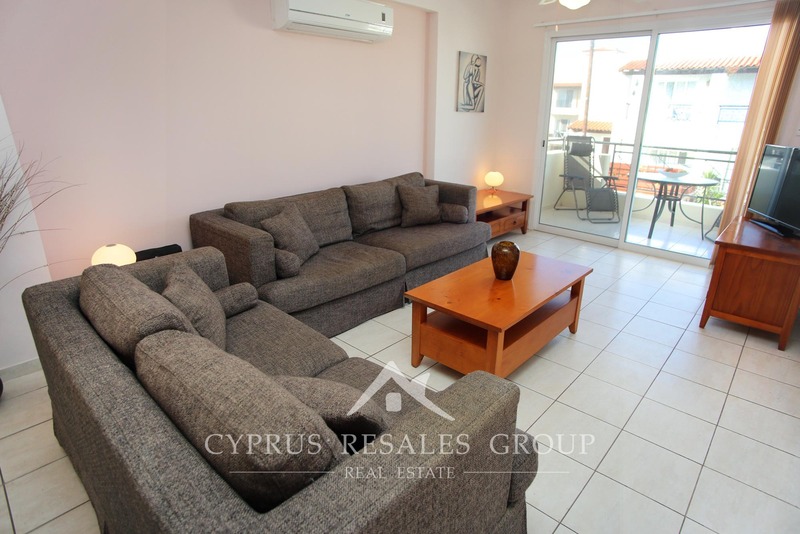 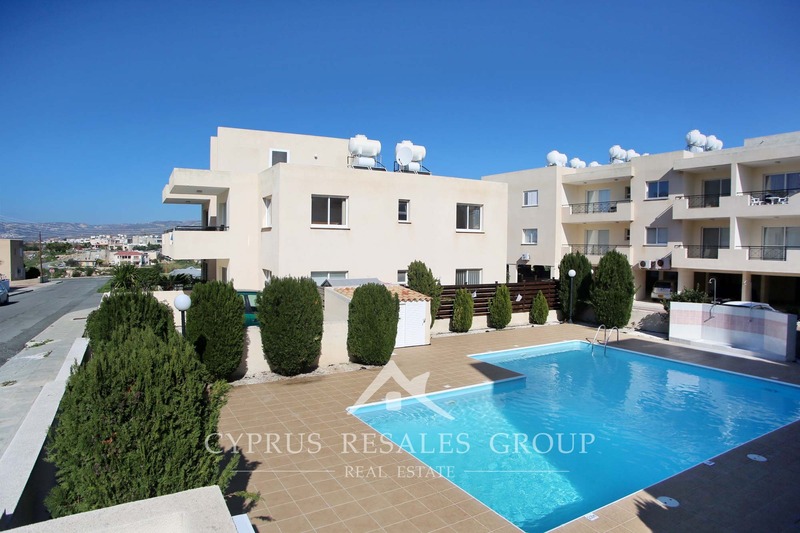 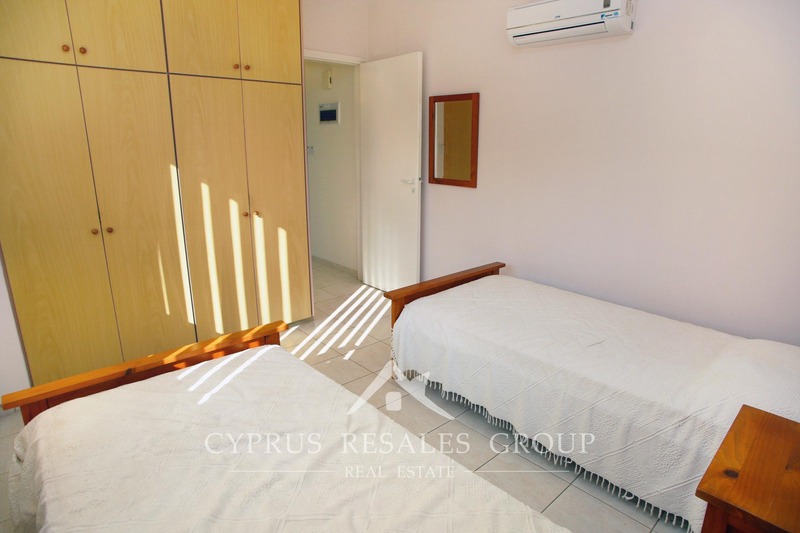 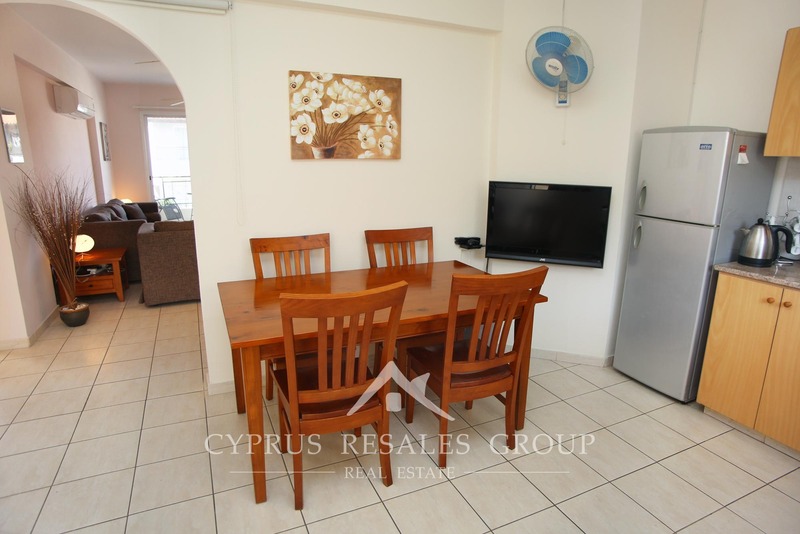 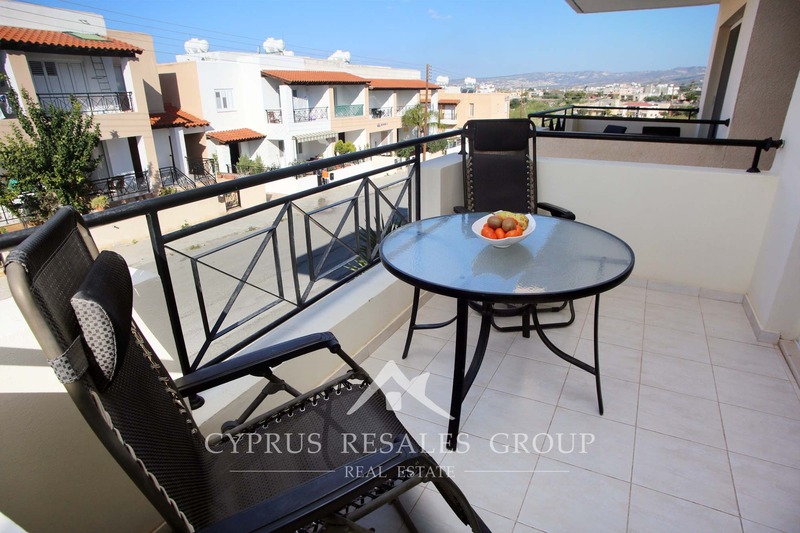 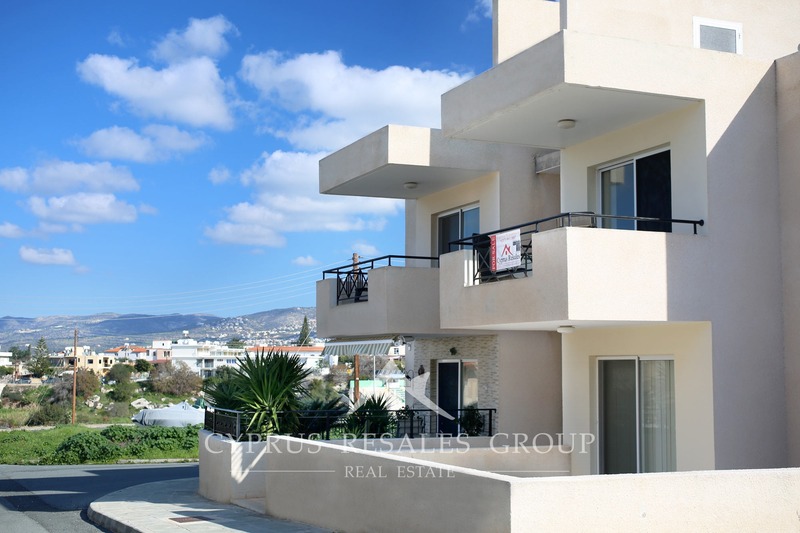 Get yourself onto the Cyprus property ladder with this enticing large family apartment in Aristo Developers Melania Gardens.